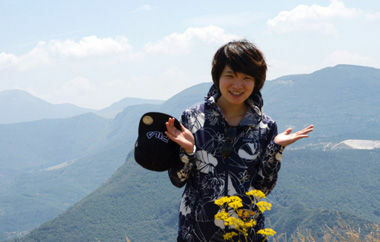 Linjun Xie has a background in Urban Sustainable Development from her studies at University of Nottingham Ningbo in China. She was awarded as a Green Talent in 2017 and conducted her three-month research stay at Rachel Carson Center for Environment and Society, LMU Munich. My favorite singer, Chris Lee, once said, “all experiences are gifts, and we are all being given”. During a period of time, in some corner of the world, meeting different people that have never met before and exchanging knowledge and thoughts, is indeed a blessed experience. In 2017, being selected as one of the Green Talents awarded by the German Federal Ministry of Education and Research (BMBF) was one of the biggest gifts that I have ever received. 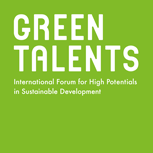 Following the two-week exciting Science Forum tour that allows an exploration of the research landscape in Germany in the sustainable development field, the Green Talents further offered the opportunity for a short-term research stay in a German university or institute. Luckily for me, I was accepted by the prestigious Rachel Carson Center for Environment and Society (RCC) as a visiting doctoral student, even though I have never visited the institute before. And that was the beginning of an extraordinary adventure. Jointly founded by Munich’s Ludwig-Maximilians-Universität (LMU) and the Deutsches Museum, the RCC is an international, interdisciplinary center for research and education in the environmental humanities and social sciences. It is a very welcoming and dynamic research hub, bringing together scholars who work in various disciplines and national contexts. Communication and interaction are thus the nature of the RCC – various weekly events, such as the Tuesday Discussion, Thursday Lunchtime Colloquiums and Lectures Series, and Reading Group Discussion, etc., provide extensive opportunities for exchanging knowledge and ideas. Therefore, besides an easy and well integration into the RCC community from the inception of my stay, I benefited a lot by learning from other scholars’ works and their generous sharing of comments and suggestions on my research. 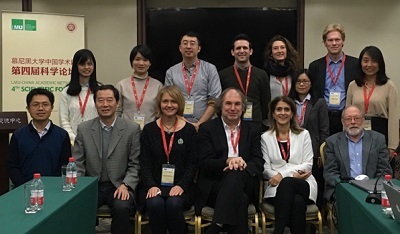 Among them, Prof. Christof Mauch and Dr Anna-Katharina Wöbse have inspired me a lot about environmental history study and wetland conservation research, which have prompted me to advance my current research on political ecology of Chinese eco-development. It is very difficult to summarize all the gains from my time at the RCC, as they abound. Besides the academic exchange, I have also involved in various events held at the RCC, such as the film screening nights and workshop of “filmmaking for scientists”. All in all, the three-month research stay was intensive but full of excitement and inspiration. For people who are studying environment and humanity, I cannot recommend the RCC highly enough. Moreover, my time in Munich was much more than just a research stay. Known for its annual Oktoberfest extravaganza, the Bavarian capital is just as busy during the summer months. Beer gardens, open air markets, lakes and parks, there are just plenty of places where you can enjoy the Munich’s sun and culture. With a local guide, especially a knowledgeable one, you will certainly have an unforgettable experience and unique insights into the Bavarian lifestyle, just like me. Attracted by the photo of a huge bookshelf in the living room, I booked my accommodation online with both nervousness and expectation. But when I moved into the apartment that is full of books and arts and found out that my host, Mr. Wolfger Pöhlmann, is a renowned curator and author, I just could not believe how lucky I am. During many morning breakfasts, we talked about the past and the present of Germany and China; and during many weekends, we visited lakes, farms, villages, and festivals and museums, where Wolfger introduced the Bavarian customs and culture and tried to explain the appreciation of art and nature to me. We became friends. The 2018 summer in Munich has a lasting impact on not only my research, but also the way I perceive and conduct my life. At the end, I would like to express my deepest gratitude to my always supportive supervisors – Prof. May Tan-Mullins and Dr Ali Cheshmehzangi, and to the incredible Green Talents programme, fellows and peers in the RCC, and all those who support me, inspire me, and encourage me. Read more about Linjun Xie.